The Good: As we've all come to know from the previous 6 movies, there's plenty of non-stop action and suspense. Many of the car scenes really get turned up a notch. The fights scenes were very entertaining. Fans of Dwanye "The Rock" Johnson will certain appreciate his throwdown with the feature villain, Jason Statham's character. Tyrese Gibson and Ludacris chime in from time to time with some chuckleworthy comic relief. 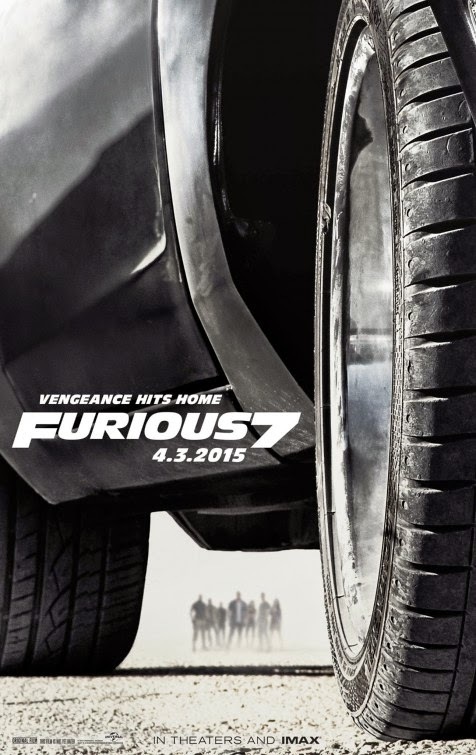 Vin Diesel,of course, doesn't disappoint as he continues playing the role of "Dom". They also did a nice job of tying in the third movie, Tokyo Drift, to help fill in the gaps that were left in the previous films. Finally, we know this was one of Paul Walker's final major film, and one of the best parts of the movie was the honorable tribute to him. It was classy and fitting. The Reason: So we're on the 7th iteration of this movie franchise, so it's kind of hard to say things that haven't already been said before. You've got your action, corny jokes, CONSTANT theme about family, things blow up, people fight, cars go really fast and quite a few bikini bottoms. Summer is finally around the corner and this was the perfect movie to usher in the upcoming summer blockbusters. If you've been hibernating all season and waiting for a good movie to get you back in the theater, this definitely would be it. One thing though, IMAX is completely optional and not necessary. There's no 3D visual effects so you'd only be paying for amped up sound, which only helps make the punches in the fight scenes a little better. Again, you can feel confident in saving your money on the IMAX version. Go check it out. lol about Rhonda rousey! dont let her catch you in the streets!